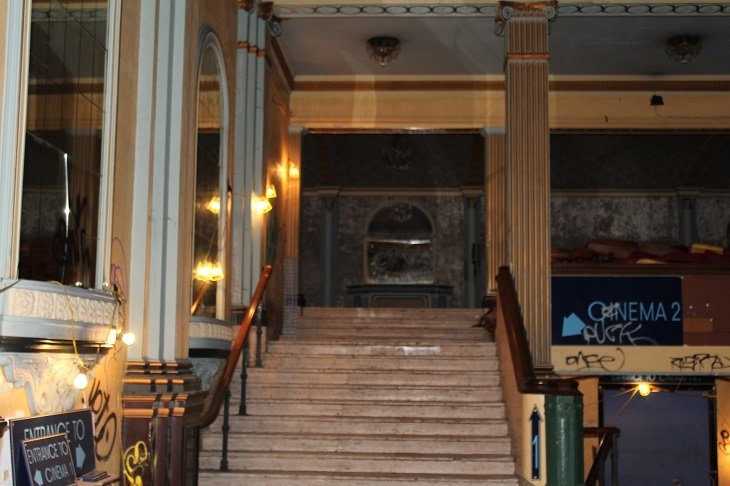 The newly restored upper lounge. Photo by Katia Habra. 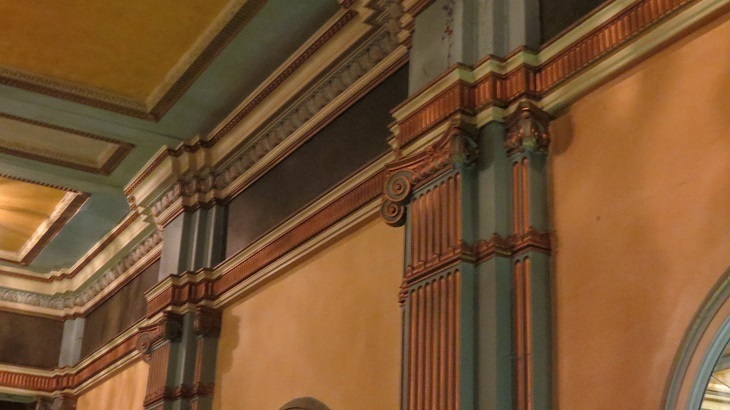 Ionic pilasters. Photo by Katia Habra. The walls of the main foyer. Photo by Katia Habra. 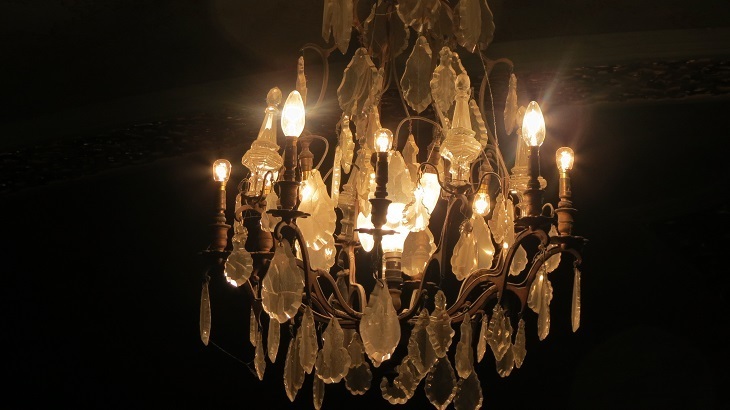 Chandeliers. Photo by Katia Habra. 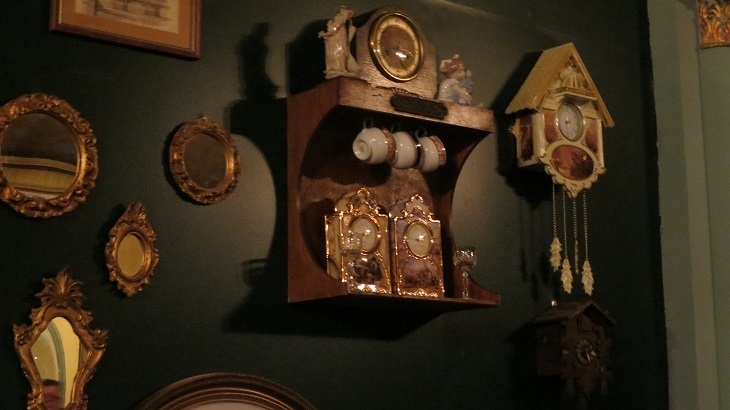 Assorted gimcrack on the walls. Photo by Katia Habra. The exterior still needs work. Photo by Katia Habra. The main bar downstairs on opening night. The graffiti-scarred interior before restoration. 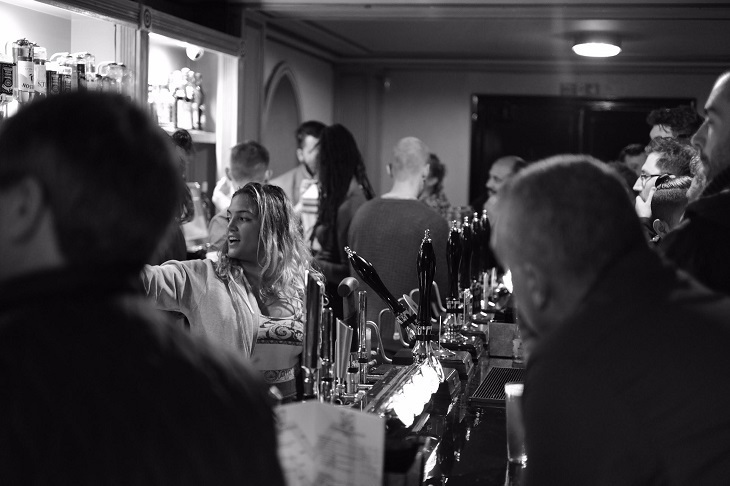 After decades of sad decline, Walthamstow’s historic EMD Granada cinema opened up again this week, partially-restored and now serving as one of the most atmospheric pubs in East London. 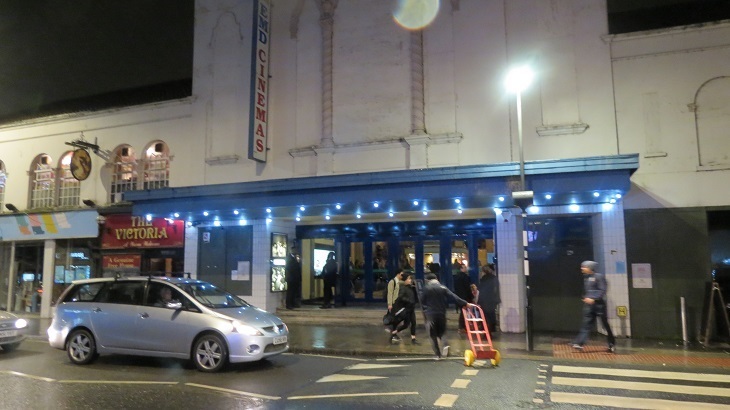 The Grade II listed picture house, once frequented by Alfred Hitchcock, dates back to 1930, while the site itself saw films screened there right back to 1896, the year that cinema was officially born. The hugely characterful building, with its chandeliers and William Morris inspired décor, has been renamed Mirth, Marvel & Maud by new managers, the Antic pub chain. Whatever it’s called, it’s still great, with the vast entrance foyer forming a three-storied drinking palace with two bars to choose from. The first is an octagonal booth just inside the doors serving cocktails, the second a bustling basement bar where you can try beer from Wathamstow’s own Wild Card Brewery. Vintage tables and benches contrast the faded but still gorgeous interiors. 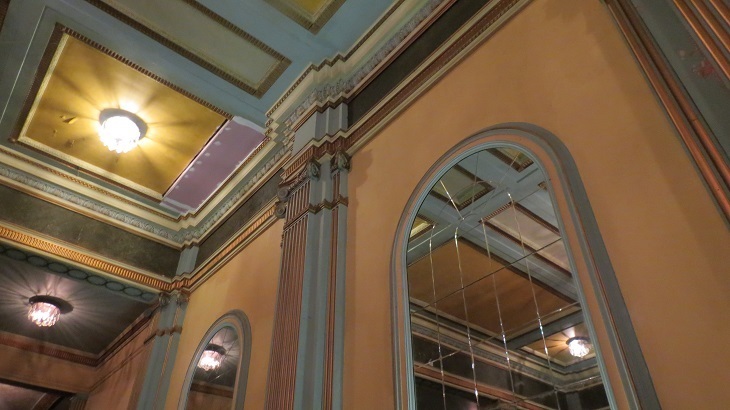 The double height ground floor features soaring mirrors and ornate Ionic pilasters in turquoise and gold. Then up the sweeping staircase you’ll find a long, low-slung barrel-vaulted upper level with freshly painted and papered walls and rich red carpets. 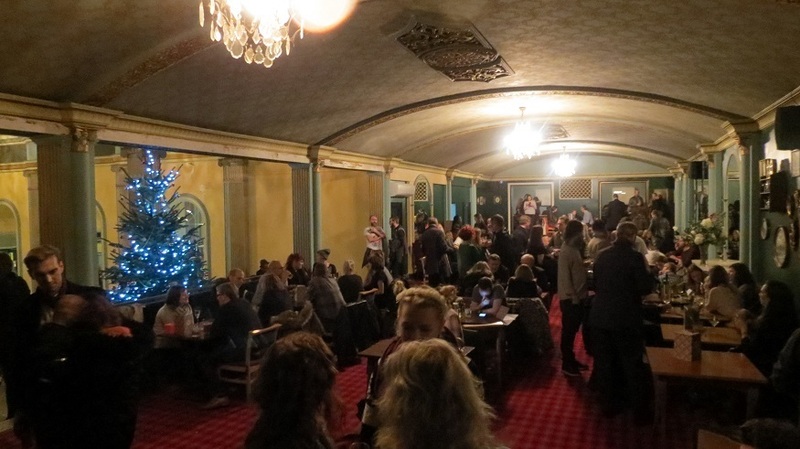 The three screens of the cinema are still being restored with plans to turn these into performance spaces with an emphasis on projects by the local community. Soho Theatre has long been interested in creating an outpost here, but it seems there are still a few hurdles to jump over before this is agreed. Soho Theatre itself this week released a statement saying they have been “working closely with Waltham Forest Cinema Trust, the council and others to secure use of the auditorium... [we have] developed a robust business plan built around comedy and an annual Christmas panto — but extending far beyond that and including a range of ways in which the whole community can access the venue and our creative participation programmes. Whatever the hold-ups are, we're glad the prospect of great theatre in a long under-served bit of London is still on the table. Soho Theatre’s commitment to the area via school and youth programmes has been especially impressive. In the meantime, we recommend you head over to show some support and enjoy the local beer in a building that's been unloved for far too long. Just watch out for the ghost who is rumoured to flit between the projectionist’s booth and the cinema upstairs — it’s said to resemble a rotund, bald man.